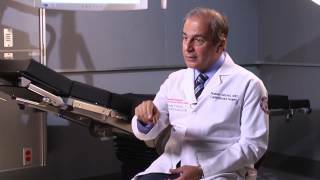 Dr. Nasser Altorki is a Professor of Cardiothoracic Surgery and the Director of the Division of Thoracic Surgery at New York Presbyterian-Weill Cornell Medical Center. Following medical school in Cairo, Egypt, Dr. Altorki completed his residency in general surgery at the University of Chicago Hospital, where he subsequently completed a fellowship in Thoracic and Cardiovascular Surgery. Upon completion of his fellowship, Dr. Altorki began his hospital and teaching appointments at the Weill Cornell Medical College of Cornell University. Dr. Altorki is a renowned thoracic surgeon to students and colleagues who are particularly interested in esophageal and lung cancer surgery and research. His professional interests include: lung cancer immunotherapy and prevention; esophageal diseases, such as gastroesophageal reflux and the etiology of esophageal motor disorders; the biology, staging and therapy for esophageal carcinoma; new clinical trials in cancer; mediastinal tumors; thymomas and clinical trials in lung and esophageal cancer. His surgical interests focus on minimally invasive surgery for lung and esophageal diseases. Dr. Altorki is a member of several medical societies that focus on thoracic and cardiac surgery, as well as cancer and gastro-esophageal research and disease prevention. He has published a number of journal articles, book chapters and manuscript reviews on these topics.